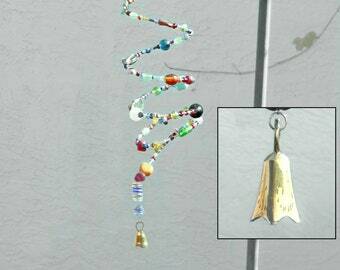 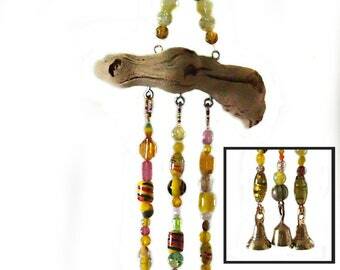 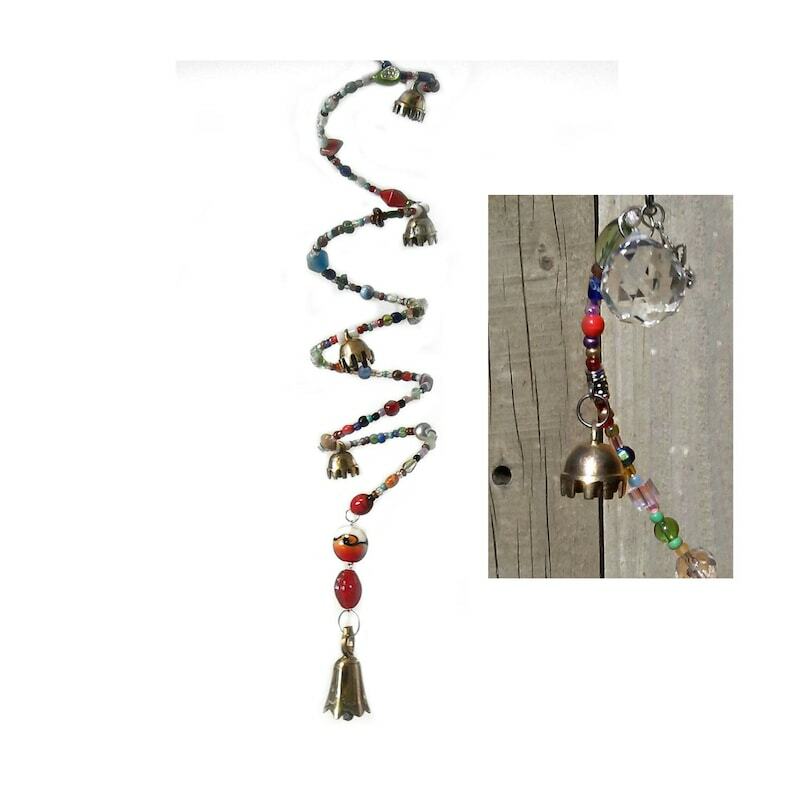 This colorful Rainbow Spiral Bell Windchime Crystal Prism Suncatcher features handmade and designer glass beads, a genuine Czech crystal ball prism and brass bells so that your Glass Bead Mobile will catch the sun in a sparkling cascade of color and every breeze with the delightful tinkling tone of several tiny brass bells. 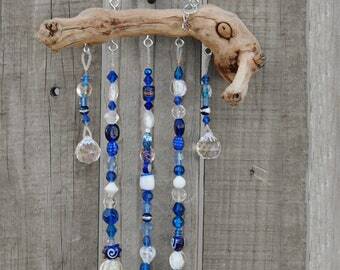 Exclusively designed with unparalleled quality, the brilliance of our sun catchers will add a touch of sparkle to your home or garden all year. 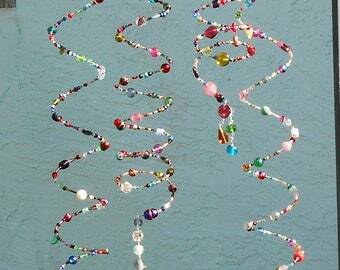 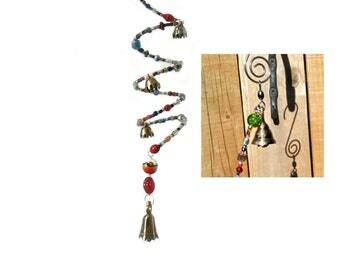 These beaded spiral mobiles include a stylish curled silver tone steel S-hanger. 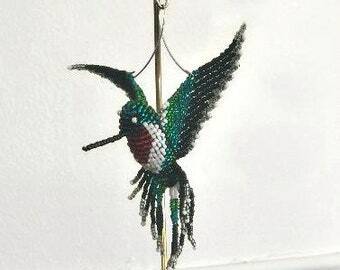 Width of mobile approximately 3 inches. 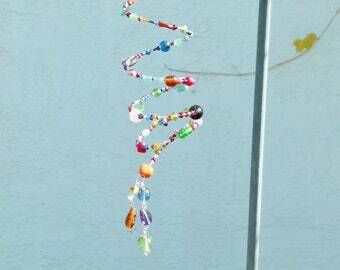 Approximately 26-27 inches long. 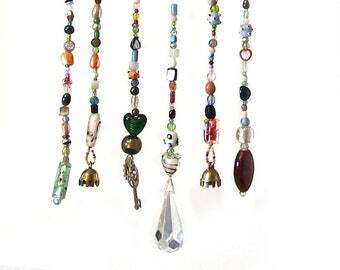 Length of mobile including hanger is approximately 33 inches. 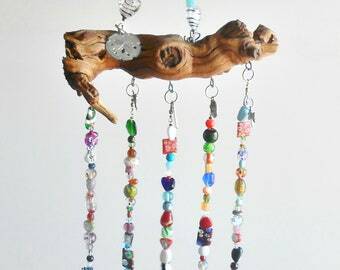 **The mobiles pictured are just representative of our product. 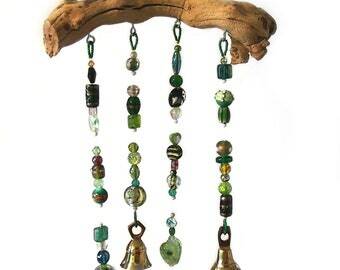 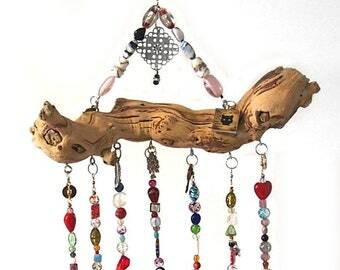 Designed by Joelaine cannot guarantee any specific bead or bell.